Two Things I Know Nothing About | Matt's Making a Movie! I haven’t updated this blog in a while, because post production is a long, slow death march filled with boredom and confusion punctuated by computer crashes and more boredom. I truly admire those who can sit in front of a computer and fashion a film from raw footage, but it’s just not for me. Which is why I’m glad Don is around to not only edit, but also color correct. Color correction, for those of you who don’t know, is the process of refining the images so that they flow together in a coherent way. As talented as Danny is (which is a very), no one can make every single shot of a film match every other shot. For instance, in the scene where Angel confronts Shooter and Archie, due to a scheduling conflict, we shot her angle and the guys’ angle several hours apart. Don is making sure the images appear to be simultaneous. 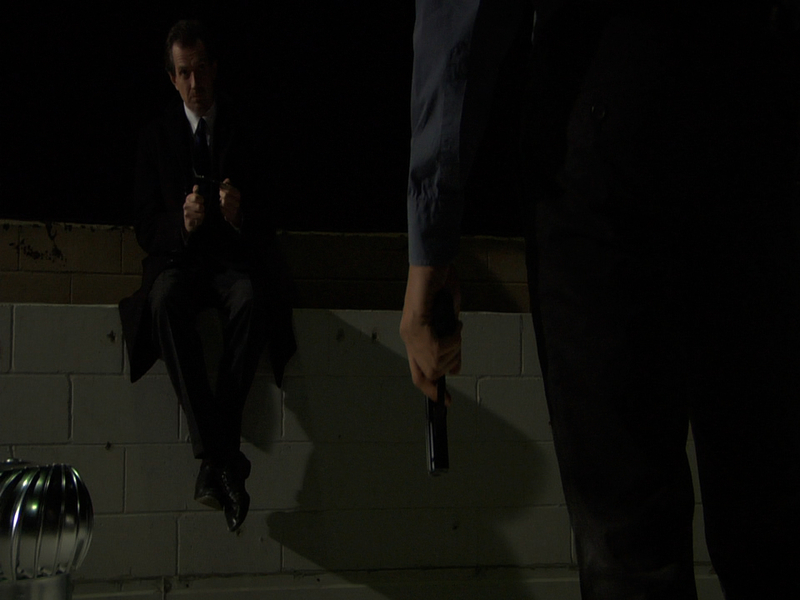 Color correction also allows for one final pass on the look of the film. Of course, being colorblind, I can’t really contribute much creatively to this aspect of post production. I have to trust Don and Danny’s judgement. Which isn’t hard at all, since they’re both very good at what they do. In other post production news, we have a composer, named Pez Wilson. He was recommended by our Archie, JohnMark. He’s already written several music cues. This weekend, the three of us will get together to do some spotting. More on that later. In the meanwhile, enjoy some examples of color correction. Fascinating.